LUX* Resorts and Hotels has been recognised for its initiatives in sustainable tourism. 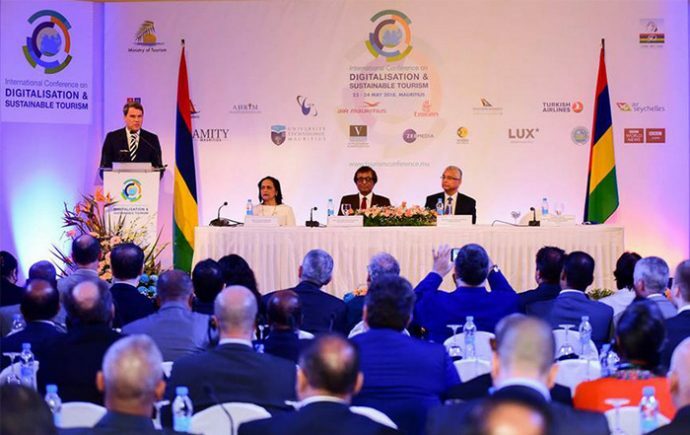 The Award for Sustainable Tourism was presented to the Mauritius-based hotel group at the International Conference on Digitalisation and Sustainable Tourism, held from May 23-24 by Mauritius tourism ministry. LUX* was awarded for its voluntary commitment to invest in sustainable tourism projects, with flagship initiatives such as Tread Lightly by LUX* and Ray of Light by LUX* where it goes beyond legal compliance to protect the environment and uplift host communities. The hotel chain was also recognised for its leadership in sustainable development with international certifications such as Travelife and Green Globe. LUX* is a member of GRI Gold Community, which is shaping the standards of sustainability and integrated reporting, and is also the first hotel group to be listed on SEM Sustainability Index. The hotel group supports the UN Sustainable Development Goals (SDGs) on all fronts by working with experts, consultants as well as local NGOs. LUX* runs the LUX* South Ari Atoll resort in the Maldives. LUX* has recently announced the opening of its second resort in the Maldives early next year. Named LUX* North Male Atoll and located on the six hectare picnic island of Olhahali, the new resort features contemporary architecture that is unique for the Indian Ocean, including private terraces, rooftop lounges, outdoor decks, private gardens and 13m private pools.